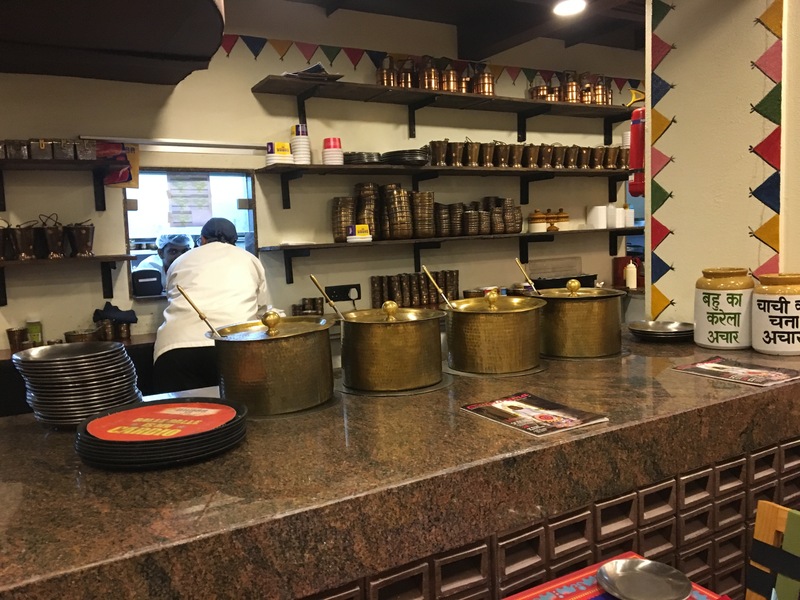 Dhaba 1986, is located right inside the ishpani center, been located in the heart of the city this place started to grab everyone attention with their contemporary ambiance and mouth watering food. 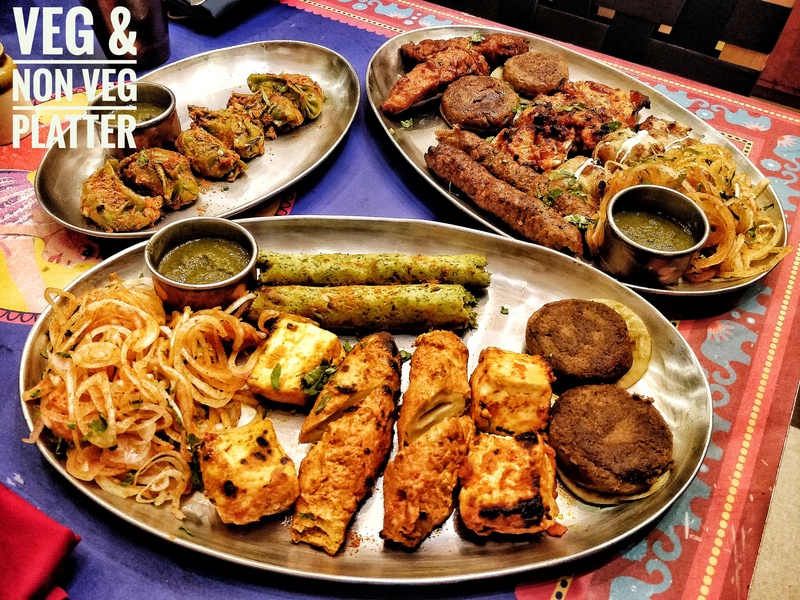 According to the Mr.FoOdiee’s theory ” Each and every penny which we spend on food will be having a equal and opposite pleasant reaction”, Dhaba is surely a cosy place it will surely give you the luxurious feel. With the price tag of 1500 bucks for two it will surely burn your wallet, still the taste this guys deliver will surely worth it. Let share my experience about this place. I was totally amazed with their ambiance n service how about the food ? 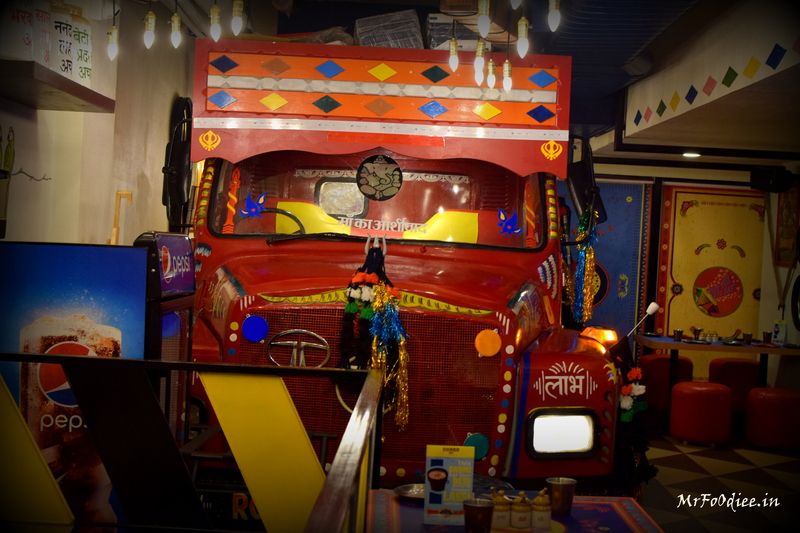 I landed up here to taste their new highway special menu, i was quite excited to taste their new food, The new menu basically contains all the food which you can get in all the dhaba’s around the country, They have choosen the best among those and added those item in their menu. 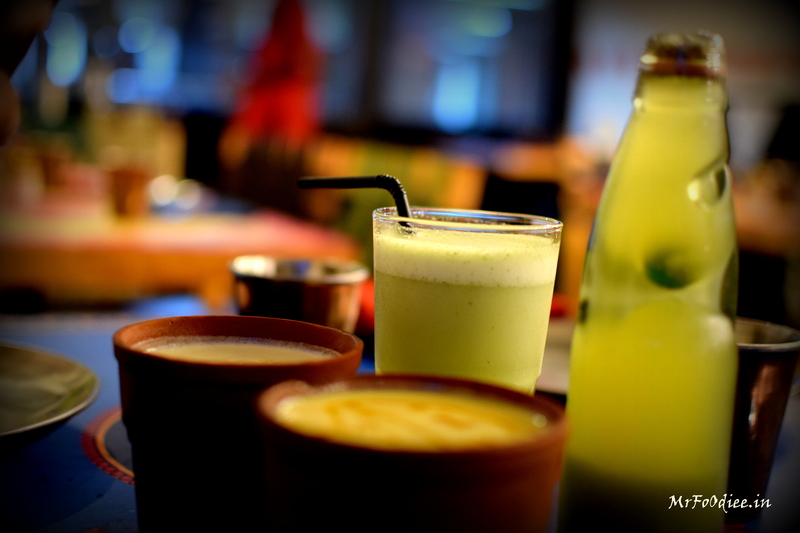 Lassi is always my favourite drink from my childhood, its way more healthier than the mocktails and mojitos, coming the Aam lassi it was perfect taste, lassi was so thick and rich, they have perfectly duclified with sugar. It was bit disappointing its was so diluted and the consistency of almond and fennel seeds was pretty low. Would hv been better if they have made it exactly like the Aam lassi. One of the best paneer i ever had till now, trust me guys their paneer will put a smile on your face anyday, it was so soft n fluffy, it just melts in your mouth like icecream. Been a diehard fan of allu tikki, i was little curious how a mutton tikki tastes like, they have perfectly minced mutton you wont feel like ur having a mutton tikki. It was good but i felt it was blunt, with red and mint chutney it went so well. The presentation of the food was too good, they brought the butter chicken and dall in the hot coal incubator, it was so appealing and rotis they served it with cloth closing it to make sure roti doesnt get dry. 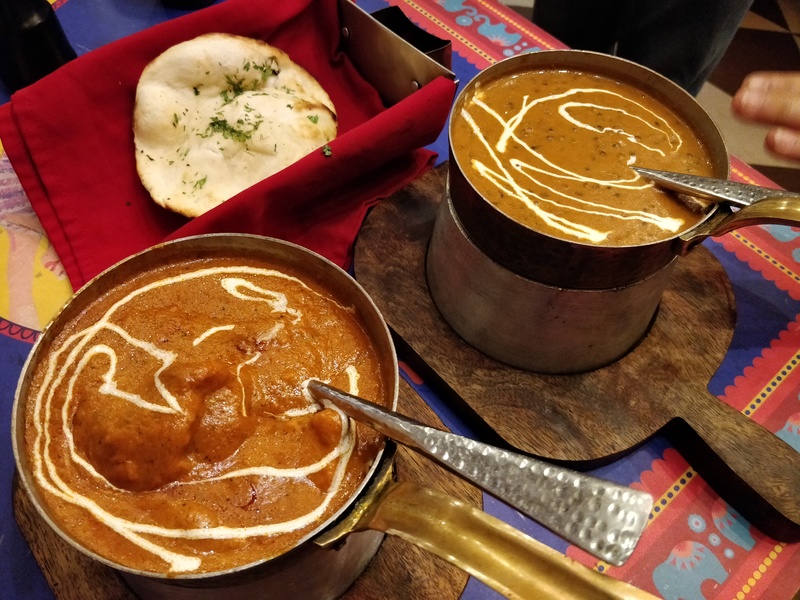 More than butter chicken, I personally loved the black dall makhani, it’s was so flavourful and luscious, It gave me a mouth watering experience. 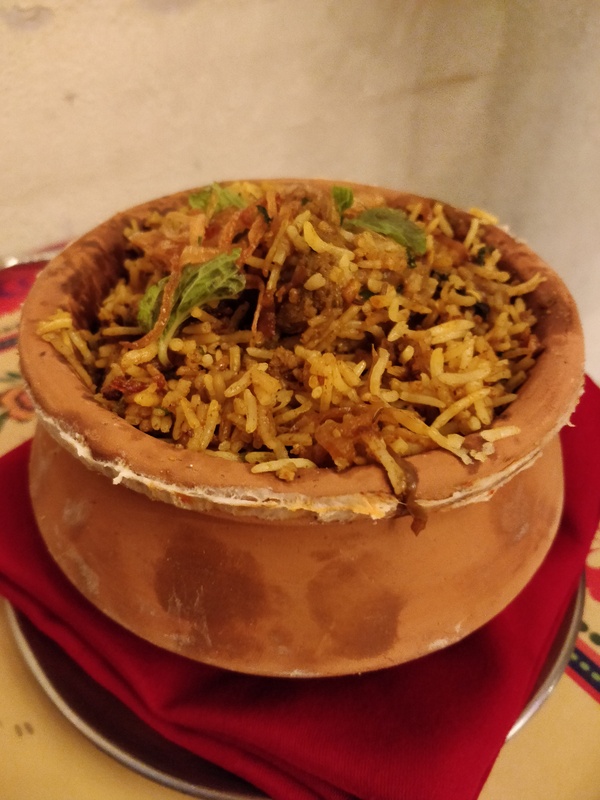 Biriyani I felt it would have been better if it had more flavour, presentation was good. 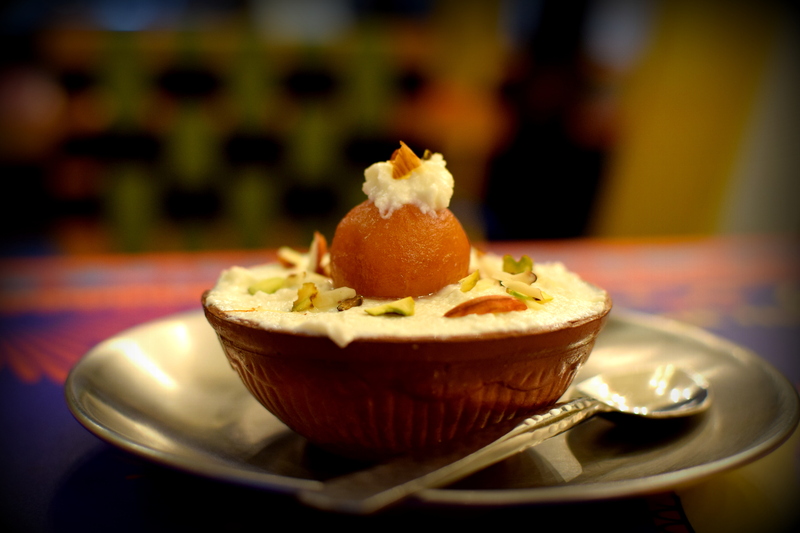 Dhade da meetha ! 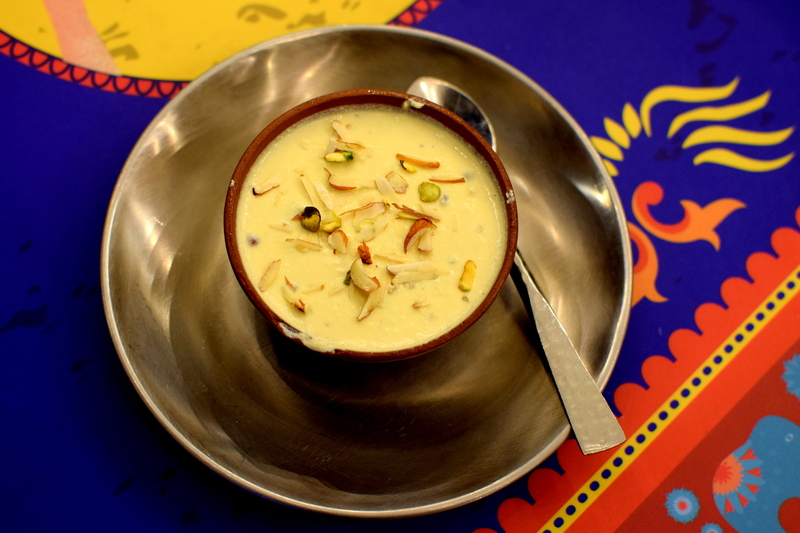 I first thought it would be double ka meetha, but to my surprise it was different it an overloaded version of shahi tukda, they served it with fried bread with malai and gulab jamun, where in shahi tukda they serve it with rabri. 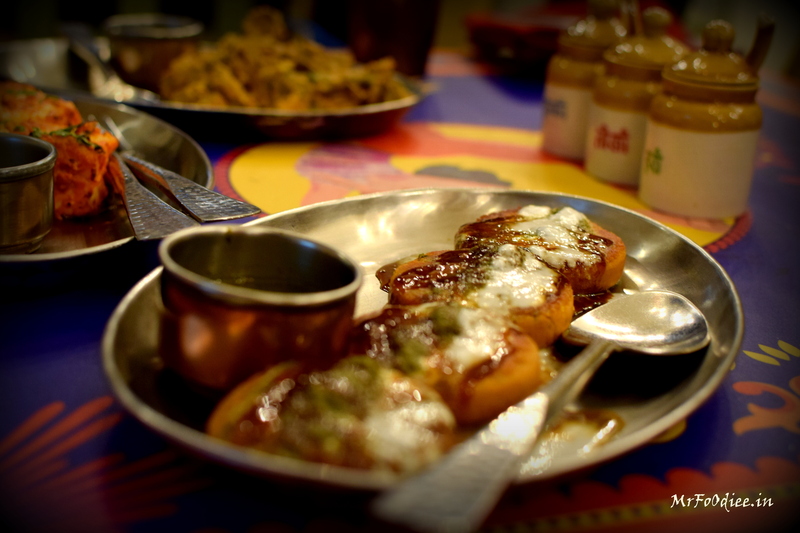 Malai + bread + gulab jamun is surely a pack of joy i dont want you guys to miss it.